Study finds the majority of cleaning services companies are not keeping up with consumer expectations online, and are missing out on opportunities to use the internet to attract and retain customers. Whilst it was encouraging to see some companies using the internet effectively to attract and retain new customers, I was surprised that the majority of companies we reviewed were still struggling to get the basics right… …Consumer behaviour has changed and expectations have increased. Companies who don’t establish an effective online presence will struggle to remain competitive, and will miss out on opportunities to attract and retain new and existing customers. Below are the most significant findings from the study. The full study results can be downloaded here. A set of recommendations have also been published based on the findings of this study. These can be found below. 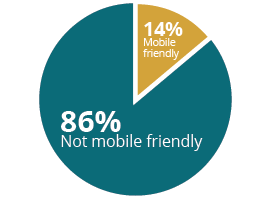 The majority of websites tested were ‘outdated’, loaded slowly and had significant errors. Most websites didn’t help build a sense of reliability, trust and credibility (and in a number of cases their websites created the opposite effect). 49% of websites took over 3 seconds to load; however, 40% of people abandon a web page if it takes more than three seconds to load (Econsultancy). 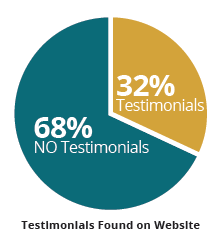 72% of consumers trust online reviews as much as personal recommendations (Local Consumer Review Survey); however, 68% of companies had no customer testimonials on their website. 64% of customers trust a ‘real’ photo vs. a stock photo (BrightLocal), yet only 12% had an image of the owner / staff on their website. Interestingly, 19% of carpet cleaners display an image of their truck (without the owner!). However, the majority of companies are not taking advantage of these tools and platforms to build a relationship with potential and existing customers. Small businesses with blogs generate 126% more leads than those without a blog (SocialMediaToday); however, this study found only 3% of companies are blogging regularly (updated in the past 3 weeks). 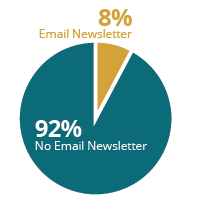 42% of subscribers are more likely to buy from a company after subscribing to their emails (ExactTarget); yet only 8% of businesses in the study had an option to sign-up for an email newsletter on their website. 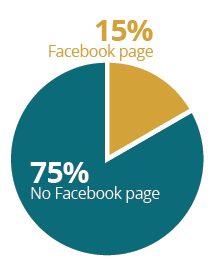 More time is now spent on social media than any other online activity (Reuters); yet only 15% of businesses had an ‘active’ Facebook page. 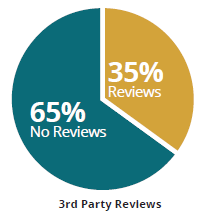 However, 65% of companies included in this study had no reviews, and only 14% of those with a review had 5 or more reviews. In 2014, an effective website and active online presence should be considered a requirement for any cleaning company who wants to remain competitive. However, this study demonstrates that cleaning services companies are struggling to keep up with consumer trends / expectations and are missing out on opportunities to use the internet to attract, convert and retain customers. The study also shows that there is a significant gap between companies who are maintaining an effective and active online presence, and those who are yet to adopt one, which could indicate some companies are being left behind. Fortunately, meeting consumers’ expectations online and getting found doesn’t need to be expensive or take up a massive amount of time – yet the impact to a business can be significant. 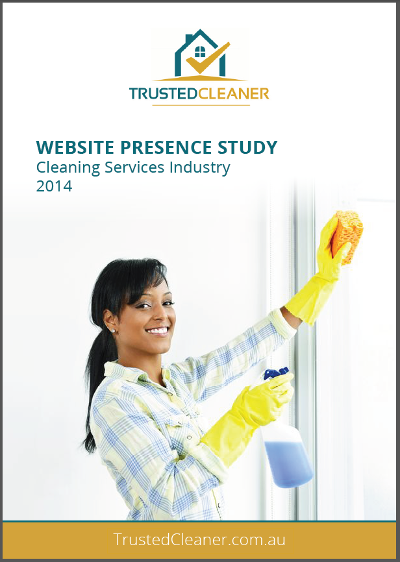 A set of recommendations have been written, based on the findings of this study, to help cleaning services companies (large and small) create an effective website and online presence which generates quality leads, encourages repeat bookings and produces referrals. These will be published on TrustedCleaner.com.au in the coming months. TrustedCleaner helps highly skilled and reliable local cleaning services companies attract new customers (domestic and commercial) through the TrustedCleaner.com.au website, and provides the tools, skills and resources to help them use the internet to find, convert and retain customers, and generate quality referrals using the internet. TrustedCleaner only works with the best cleaning services companies in a local area, and has a strict vetting and verification process to ensure only the best businesses are represented.